31 follows a group of carnival workers who find themselves kidnapped and forced to play the game 31; the aim of which is to survive 12 hours in an underground hell with a gang of clowns. Nicolas Winding Refn has become something of a cause celebre in the modern cinematic landscape. It’s tough to think of another director viewed so diametrically in the current climate; lauded by some as a genius, reviled by others as a snobbish hack. The Conjuring 2 takes us back into the chilling real world of the Ed and Lorraine Warren (Patrick Wilson, Vera Farmiga) as they tackle one of their most terrifying – and most documented – cases of paranormal activity. The sequel moves away from the United States and drops us into a very rainy 1970s Britain and to the Hodgson family, who believe their home is being threatened by a malevolent entity. With Christmas only a few days away now is the perfect time to look back on what has been an interesting year for horror. Now I say interesting because this years calibre has been a bit of a mixed bag. There have been some incredible titles released this year that were shown in cinemas and on the festival circuit but there have been others like Ouija, Annabelle and Devil’s Due which all fell short and deserved to have gone straight to video sentenced to life in the deepest darkest corner of hell and forgotten about (if they haven’t been already). I will say one thing though and 2014 has been a wonder for independent horror especially on the festival circuit as there have been some horror films that not only met expectations but exceeded them leaving me wishing that one day modern horror films will once again become scary and original again. The reason I say this is that thanks to franchises like Paranormal Activity and Saw which famously churned out sequels and their lesser somewhat cheaper imitations since have tainted the minds mainstream audiences making them forget what a scary movie actually is. Call me a horror snob or not but I can’t stand it when a film tries to be scary by throwing a shedload of jump scares accompanied with a loud blast of music. This is not scary, it’s just annoying! As a genre fan I want to be creeped out, to have my level of acceptability challenged and have icy cold chills down my spine. Or I want to enjoy a solidly crafted slasher film or creative monster movie. I don’t however want to watch the same studio produced horror-by-numbers which is something I’ve seen a hundred time before. So reading this it should come as no surprise that the majority of titles in this list were seen during the UK festival circuit. So which 2014 horror films ticked the boxes for me. Which ones stood out from the crowd and cemented their place in my black heart? You’re about to find out but before I start to list the ten films that I think deserve the title of Best Horror Films of 2014, here are three honourable mentions that are certainly worth checking out (when you get the chance to). One part dirty harry one part wolfman, Wolfcop is directed by Lowell Dean and stars Leo Fafard in the title role. 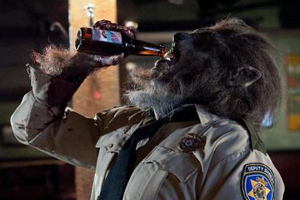 The film follows an alcoholic cop who is called to investigate a disturbance in the nearby woods only to be caught up in a ritual sacrifice and is cursed to become a werewolf. A definite crowd pleaser, the film features some truly hilarious moments and a werewolf transformation that begins in a place you will never have imagined. It’s a Troma-esque film with a much bigger budget where every bit is enjoyable and inventive. 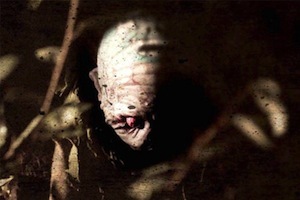 He took us to the swamp to battle the villainous Victor Crawley in his Hatchet trilogy, he had us pinned to our seats when Shawn Ashmore and Emma Bell were stuck on a chair lift in Frozen but in his latest project Digging Up The Marrow, Director Adam Green will have us pondering one question… do monsters exist? I refuse to reveal anything further about this film and with good reason as I believe without doubt that this is Adam Green‘s best film to date. It’s fun, It’s scary and is a must see for any self respecting horror fan. Look no further for spoilers online, just seek out the film, sit back and enjoy every minute of this gem that I am certain will become a cult classic. The Grandad of found footage, Eduardo Sánchez (The Blair Witch Project) returns to the genre once more for his latest effort Exists. The film follows five friends who are on their way to a remote cabin in the woods for a weekend of fun. But, on their arrival they quickly discover that the cabin is located inside the lair of the legendary Bigfoot. Featuring outstanding special effects and a monster that seemingly has a sense of intelligence and rationality about it, Exists is thoroughly entertaining and twice as scary as last years Willow Creek. It also has one of the most effective jump scares i’ve seen all year round. Now before we get to the films that I think deserve to be hailed as the best horror films of this year I want to remind our readers that this is based on my own personal taste and will most probably differ from others. That said, I would like to bring to your attention my favourites which I believe are the Best Horror Films of 2014 (in no order). This mockumentary from the team behind the popular TV series Flight of the Chonchords is best thought of as the Spinal Tap of vampire films. Not only does it stand neck and shoulders above other vampire films but does so with respect to the very material it plays homage to. There’s a killer Lost Boys reference that will have you howling like a werewolf at the moon and a joke that will change the way you think about a sandwich. But what is very pleasing about this film is that it possesses the ability to keep its flow of jokes consistent. 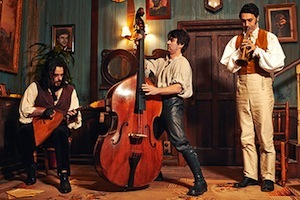 That said, when you have Taika Waititi and Jemaine Clement in front of and behind the camera you simply can’t go wrong. So if you like your horror with a double serving of comedy then What We Do In The Shadows is fangtastic and just for you. Inspired by the shocking events of the 1978 Jonestown Massacre, Director/Writer Ti West teams up with Eli Roth for his stab at the found footage sub genre. With a solid script and superb direction, West commands attention from his audience quickly and holds it firmly in a vice-tight grip thanks in part to the sense of isolation and heightened anxiety that gradually develop into a terrifying sense of dread. It’s cast are equally as good. AJ Bowen delivers a solid performance but it is Gene Jone’s performance as the compound’s leader that steals the spotlight. He creates a villain with the ability to literally draw you in to his way of thinking as his motives come from a place of reason. 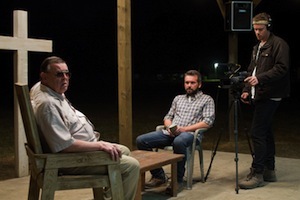 Intriguing and harrowing, The Sacrament still holds its power on repeated viewings and it is for that reason I recommend you to check it out. When you discuss a werewolf film inevitably comparisons are made with such classics like An American Werewolf in London however very few manage to fully capture its sense of creativity or ferocity. 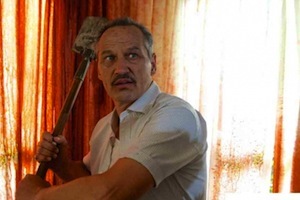 Well in this case Adrian Garcia Bogliano comes incredibly close to doing so with Late Phases, a geriatric werewolf horror. Telling the story of Nick Damici (Stake Land) as a war veteran who moves into a gated retirement community only to survive an attack by a large wolf like beast. With his neighbours concerned over his sanity Ambrose (Damici) must figure out a plan to stop the monster from attacking again. Both Damici and Ethan Embry (Cheap Thrills) do a fantastic job to sell the realism of the film but the true star is its special effects. The wolf transformations are fantastic and are done mostly practically which I thought was amazing. Winner of Best Special Effects Award at the Sitges Fantasy Festival, Afflicted is the lovechild of Canadian filmmakers Clif Prowse and Derek Lee and sees the the duo play best friends that find their one in a lifetime trip thrown up in air when one is struck by a mysterious illness. In desperation to find the source, the duo must come to terms with what has happened before things spiral out of control and the chaos consumes them both. 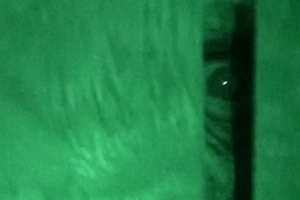 Utilising the conventions of the found-footage sub genre this film puts the audience right into the middle of the fray making the experience thrilling and that much more enjoyable. For example, a chase sequence on a rooftop perfectly blends CGI effects with filmed footage to create an unforgettable sequence that will leave your jaw on the floor. Simply put, Afflicted does for horror what Chronicle did for superheroes. If you were low on cash and came across this little ad in the paper offering $1,000 for a days filming would you do it? Director Patrick Brice does in his claustrophobic chiller Creep. 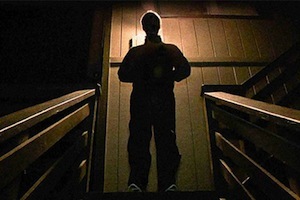 Without using foul language, excessive gore or constant threat of violence to shock its audience, Creep instead builds its scares naturally through solid acting and some very out there moments that are simply unnerving. Speaking of acting both Brice and Mark Duplass show amazing chemistry on-screen demonstrating their true acting ability. As a typical Blumhouse film you can expect quite a few jump scares but fear not these only serve to heighten your vulnerability as its vice-tight grip on you never dissipates. Just keep an eye out for PEACHFUZZ. No one can ever accuse Justin Benson and Aaron Moorhead of never delivering something different to your average horror film because they certainly do. Their previous effort Resolution was a real genre-bender and nothing changes with their latest effort Spring. Effectively combining the sweet romance of Before Sunrise with horror elements inspired by An American Werewolf In London, Benson and Moorhead have delivered a truly unique love story that you will remember for years to come. Benson’s script is intelligently written and his co-direction with Moorhead is superb. Together the duo show plenty of artistic flare that is difficult to resist as a genre fan. Overall, I absolutely fell in love with this film and I’m confident you will too. Inspired by such Italian Giallos as The Beyond, Opera and Tenabrae, The Editor is the latest project for the Canadian film collective Astron-6 who have written, directed and starred in this thoroughly enjoyable homage. 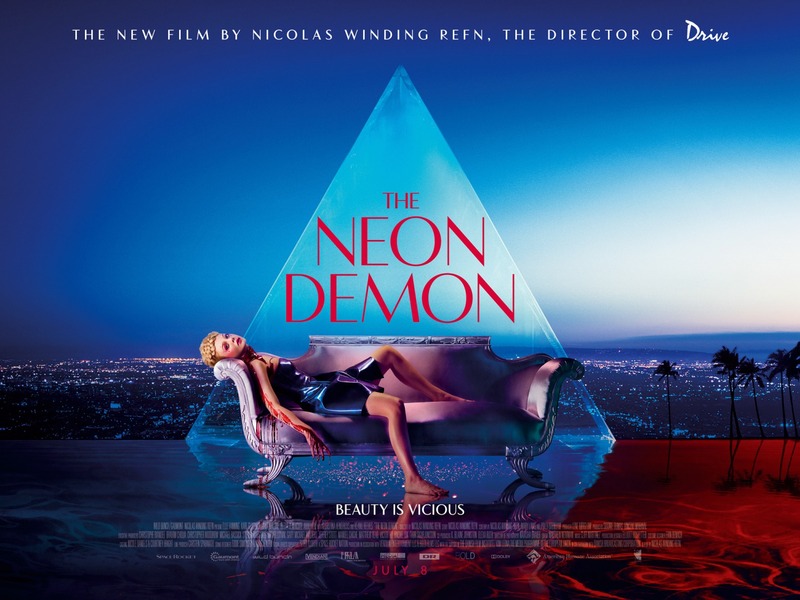 Also starring Paz de la Huerta, Laurence R. Harvey, Tristan Risk and genre legend Udo Kier, the film utilises vivid colours, bizarre angels and throws in black-gloved killers and gruesome death scenes to perfectly capture the spirit and feel of the Giallo. Admittedly I am not a fan of the Giallo but it says something when a film as fun as this has made me want to return to the sub-genre to revisit a few more titles. Overall, The Editor is a satisfyingly fun film and truly deserves more viewers so check it out when you can. Till Kleinert‘s impressive German horror Der Samurai has been hailed as a gay liberation piece and features a fantastic performance from from Pit Bukowski as a sword wielding menace and from Michel Diercks as Jakob, the young police officer with the task of bringing him down. Packed with mystery and blood thirsty carnage, Der Samurai is expertly directed by Kleinhert and looks beautiful on screen. This film may have some very graphic visuals that might affect those of a nervous disposition but for me this film is a compelling thriller and it is for this reason that I recommend checking it out. Mike Flanagan‘s flair as a director and screenwriter is remarkable. With Oculus he has constructed a strong concept at its core which he executes masterfully catapulting his audience on a roller-coaster ride that is not easily forgotten. Yes there are a few jump scares scattered throughout the film but the intricacies of its interweaving timelines in the last hour make Oculus truly compelling viewing. The cast are fantastic. Karen Gillan is effective in the lead and it is great to see her in something other than Dr. Who. The real star of the film is Katee Sackoff as she delivers a solid performance and as such, I would love to see more of her on the big screen in future. Creepy and unsettling, Oculus for me was one of this years most strongest horror films. If you haven’t heard about this one yet then you will soon. Director Ivan Kevanagh‘s The Canal is one of very few films that truly managed to scare me. Following a film archivist whose life is turned upside down when his wife goes missing, The Canal is incredibly tense and unbelievably scary. Flawlessly directed and superbly acted by Rupert Evans and Steve Oram, this film is a whole package. Containing some of the most horrific imagery that still sticks to me to this day, I guarantee you that it will send icy cold chills down your spine as a result. The Canal is a highly engaging and incredibly tense horror and it is for this reason that it makes this list. So there you have it ten of my favourite horror films of 2014. I would like to thank you for reading and before you go, I would also like to recommend that you to check out Chad Archibald‘s Splasher The Drownsman, Zack Parkers shocking Proxy, Tommy Wirkola‘s excellent undead sequel Dead Snow 2: Red vs. Dead and Jennifer Kent‘s The Babadook which has a phenomenal performance from Essie Davis that can only be described as outstanding. I never watched The Clone Wars. There, I said it. The idea never really did anything for me, and I’m a huge Star Wars geek that actually LIKES the prequels, but when I saw the trailer for the Clone Wars movie and saw a baby Hutt (apparently, Jabba’s son – I don’t even WANT to know how he made him! ), I decided no thanks, and steered clear. So when Star Wars Rebels was announced, I was sceptical, but the setting intrigued me, placed just 5 years before the events of Episode IV, the premise promised a much more Star Wars feel from my childhood, with the less flashy Old Republic designs and the more Imperial utilitarian feel to the ships, buildings and planets. So I gave it a shot. There are some great character designs. 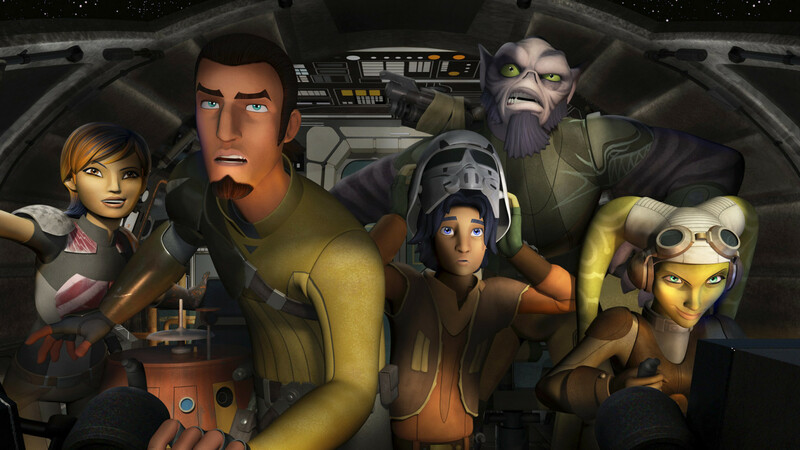 I was expecting to find the main protagonist, Ezra, a 14-year old street urchin, to be incredibly annoying, as with most child/teenage characters, but he actually isn’t… In fact, none of them are, and each design evokes the Star Wars universe, in particular Zeb, the strong arm of the Ghost crew, who is based on a concept design for Chewbacca by the great Ralph McQuarrie. The chase scene early in the episode is wildly entertaining, but feeling more like Indiana Jones than Star Wars, with even the soundtrack taking an Indy lilt as the titular Rebels weave their way through the city. Speaking of the soundtrack, it is heavily reminiscient of the original trilogy’s soundtrack, taking several beats from Episode IV in particular, which helps to capture the magic and excitement of the movies. The battle scenes throughout are just as exciting, with my fears of Disney making every skirmish with the Empire resulting in a hundred A-Team moments being completely unfounded (For those of you who don’t get that reference, then shame on you! The A-Team was notorious for having no-one die. A hundred bullets would be fired by the guys, but there wouldn’t be a scratch on anyone. Cars would explode, and helicopters would fall out of the sky, but people would always get out). The Star Wars accent game kicks in too, but instead of Asian Neimodians, we get the very, VERY English Imperials, with the higher the rank, the posher they become, but all the voice work of the principal characters is well done, feeling natural and fitting in well with the character they belong to, with the exception of a brief cameo from Obi-Wan Kenobi, which sounds like someone doing a poor impersonation of Ewan McGregor. On the whole, if this episode shows only a small portion of what this series brings to the Star Wars table, I’ll be a very happy chappy indeed, as this might just tide me over until Episode VII’s release in December next year. 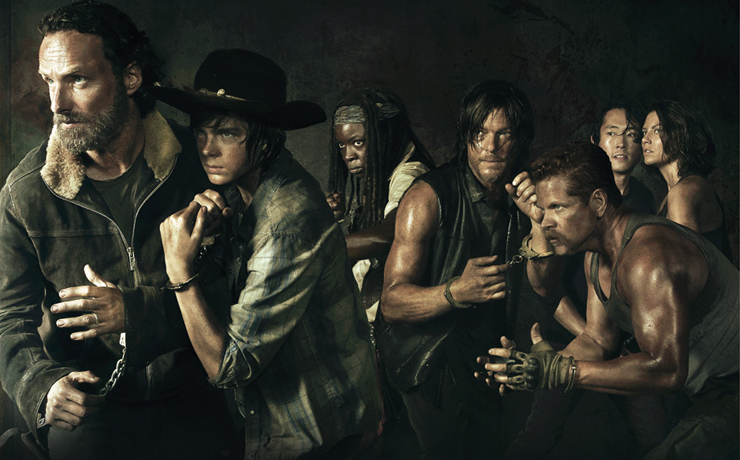 The Walking Dead is one of the few series I’ve managed to stick with all the way through. I never made it all the way through Star Trek: Deep Space Nine, Star Trek: Voyager, I only made it 4 episodes into Lost, and as controversial as this may be, have only seen the first two seasons of Breaking Bad. So that alone should demonstrate just how much I like this series, and therefore just how much it pains me to say that the last season was weak tea. The overall season arcs didn’t seem strong enough to carry the entire season and so the fourth season seemed very anaemic. But nevertheless, after the season close with Rick and the rest trapped in Terminus inside a train carriage, I was looking forward to seeing how they were going to escape and make good on Rick’s closing words of how the residents of Terminus were going to feel stupid when they find out they’re “screwing with the wrong people”. It seems that I wasn’t alone in my feelings of disappointment with the previous season, with a few people falling by the wayside (Greg, I’m talking to you! ), and it seems that the producers and writers have either heard, or thought the same thing when approaching season 5. From the short resolution to the predicament season 4 closed on, all the way to the end of the episode, it seemed to never let up, making for easily one of my favourite episodes since season 3… Hell, maybe even the second season. Themeatically, the episode seems to revolve around change and the loss of humanity. Just what does it take to survive in this particular apocalypse? How much of your humanity do you give up in order to cease being the prey and become the predator? What does it take to instigate the change? And possibly is there any way back? These themes best exemplified by Rick Grimes, the former police officer and moral compass for the last four years with a single line from him “Nobody gets to live today.”, and his decision to let any fallen members of Terminus to turn. And of course Carol, who’s evolved from abused wife to legitimate badass who could probably take on John J. Rambo. And this is one of the strengths of this series, and a reward for anyone who’s stuck with it, to see how these characters have changed so much since their introduction. Bring on the rest of the season. I personally cannot wait. When WB announced that they were making a series centred around James Gordon, before he became commissioner and chief ally of The Dark Knight, I was curious, and a little wary. What is The Batman without The Bat? What is Gotham city without his adversaries? 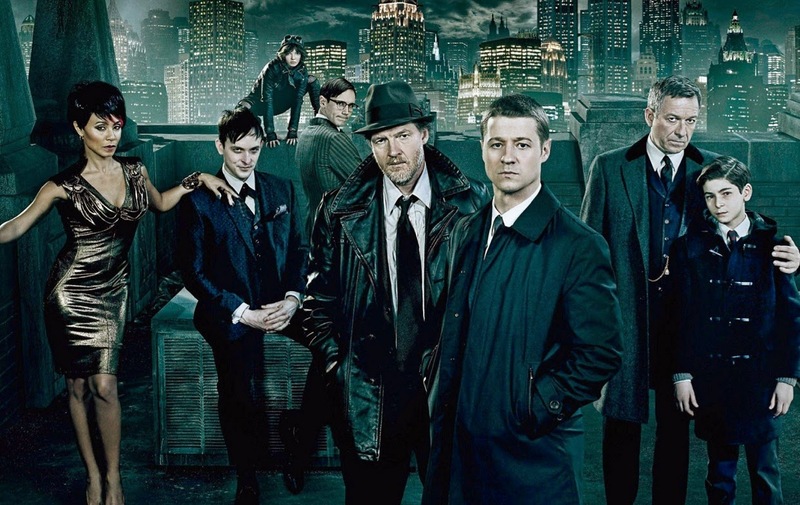 It was this wariness that I felt when I watched the first episode of Gotham today. There were several characters I remain unsure of, and some I just don’t like. Jim Gordon seems very one-dimensional at the moment as the only honest cop, etc. The man might as well be wearing a white hat, tin star and a couple of silver six-shooters, if they wanted to make it plainer. Here’s hoping as the episodes continue, the writer’s will put some meat on his bones so we can engage with him more. Alfred. The backbone of The Batman in many ways, should have been ably performed by the usually excelleny Sean Pertwee, but I felt ultimately let down, as I compared him to previous incarnations played by Michael Gough and Michael Caine (As a sidenote, I’m interested to see how Jeremy Irons plays out in Zack Snyder’s upcoming Batman v Superman: Dawn of Justice). One of the things I loved about Caine’s version of Alfred was how he would slip from a very prim and proper received pronunciation English, to a very warm and more human cockney accent as his concern or love for Bruce Wayne shone through. With Gotham’s incarnation, it just seems that there’s been a cockney ragamuffin bundled into a suit. He just doesn’t seem to be the butler type. So onto the one scene that does need to be addressed. Once again we yet again see the defining moment in Bruce Wayne’s life. The mugging and murder of his parents, Thomas and Martha Wayne. For me, this has been done over and over again to the point of this being now so unnecessary, that I actually chuckled to the overdone screams of anguish from young Bruce as he knelt beside his slain parents. Come on guys, we really don’t need to see it anymore… I think everyone in the western hemisphere and beyond knows how Bruce became Bats!! In summary, is was OK. Aside from a few nods to the Batman universe, this would be yet another procedural cop show alongside all the other CSIs, NCISs, Castles and all the rest. Here’s hoping it becomes something more than that. It certainly has the chance to become something great, despite this lackadaisical start. Oh my Gaaaad! Where do we even begin? Moriarty is alive! Sherlock murdered someone! Mary is actually a trained killer! John allowed his eye to get continuously flicked without straight up screaming in rage – as we assure you we were at the screen. We knew that this episode was going to be one big ball of dramatic and emotional moments, but nothing prepared us for the constant twists and turns that happened so swiftly that not only did you simply have to stop trying to make sense of it and just ride the wave of insanity, but it also gave you simply scream out loud moments, as well as Moffat and Gatiss’s now trademark little hints at what future series have in store. 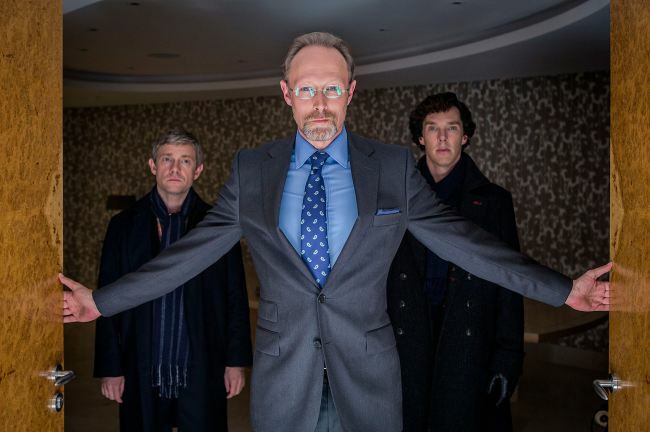 But all shaking excitement aside, let’s talk about Sherlock’s third and final episode of season three – His Last Vow – shall we? The episode began with Mary and John enjoying marital bliss whilst Sherlock had gone AWOL for the first month of their marriage. John is as skittish as ever to fight some crime – we know that he enjoys danger as much as Sherlock enjoys eyeball tea – and voluntarily fights his way into a crack den to find his neighbour’s son. Oh, it turns out Sherlock’s there too, doped up to the eyeballs. But it’s for a case! Not because John was married! Or is it? Who is telling the truth? Is Sherlock actually on dr- HANG ON. JANINE IS IN THE FLAT? JANINE IS SHERLOCK’S GIRLFRIEND? Was anyone extremely, extremely glad that it turned out he was using her to get to the bad guy, whilst she was using him to sell tabloid stories? Our reactions were exactly like Johns. It didn’t matter whoever this Charles Augustus Magnussen fella was, as Sherlock.was.in.a.relationship. But Mr dead-behind-the-eyes shows up and yes, he’s a dreadful human being who is utterly cold, ruthless and pees into 221B Baker Street’s fireplace before swiping the sweat off his hands and dropping the tissue onto the floor. Ugh, scumbag. But it turns out that Magnussen isn’t the only villain we had to look out for. On sneaking into Magnussen’s lair to claim the incriminating evidence for Sherlock’s client, who had enlisted his help against Magnussen as he is blackmailing her, they find him already with a gun to his head. It’s none other than Mary, John’s wonderful and nice wife. She shoots Sherlock in the chest, cueing the aforementioned scream of horror, as Sherlock quickly deduces how to prevent himself from dying. This brings us to what has to be the most heartbreaking moment of the series. Mary and Sherlock meet so he can hear why she shot him/was in Magnussen’s apartment etc. She thinks she’s speaking to Sherlock, but it turns out lurking in the shadows sits a wretched John. WE DIDN’T WANT THIS FOR YOU JOHN. She explains she worked for the CIA and was basically a terrible human being, and Magnussen knows exactly what she used to be. Since John (eventually) forgives her, he and Sherlock bargain for the information he has on Mary in his so-called vault. Sherlock gives him Mycroft’s laptop, holding plenty of crucial British secrets, in exchange for Mary’s files. Turns out there are no literal files, it’s all up in Magnussen’s mind palace! Oooo Sherlock has a mind palace too! Twinsies! So…the vault is in Magnussen’s mind, and after an utterly humiliating scene in which he flicks John in the face repeatedly, just because he could (seriously, it was difficult to watch), Sherlock realises the only way that Magnussen could be defeated is murder. One shot to the head, and Sherlock has done it, strengthening what feels to be the main subject this entire series – an examination of Sherlock’s humanity. He didn’t kill Magnussen for his own purpose, he did it for John and their friendship. As a result, he is being shipped off on an undercover mission that will definitely kill him. As he boards the plane and we glance worriedly at our watches…the 90 minutes nearly up…we had almost resigned ourselves to our fate of waiting for Sherlock to head back from Europe and jump straight back in with the good old detective stories. Instead…instead. Oh instead. The televisions begin to flash. Lestrade looks horrified. Mrs Hudson screams bloody murder (Hudderz, we love you) and Molly looks about ready to pass out. Sherlock’s plane turns around and lands back in good old England, where he belongs. It’s Moriarty kids. He’s back. Did you miss him? We found out who Redbeard is! Sherlock’s loveable childhood dog! Also, a sidenote on this sidenote, how cute was mini Sherlock?! “The other one”?! There’s another brother?! Any bets that it will be played by either Steven Moffat or Matt Smith? Whey, hello again Benedict Cumberbatch’s parents! Can we please see more of the family dynamic in season four please?! So Moriarty. We have two years of speculating how he faked his death. Feel like something like this has happened before. Fingers crossed Derren Brown is involved!